Lunch: Monday-Friday: 11:15am-4:00pm; Brunch & Lunch Saturday-Sunday: 11:00am-3:00pm; Dinner: Monday-Thursday: 4:00pm-10:00p; Friday: 4:00pm-10:30pm; Saturday: 3:00pm-10:30pm; Sunday: 3:00pm-9:00pm; **Open Thanksgiving Day: 11:00am-8:30pm. ** Closed Christmas Day. Ample free parking as well as valet service. If you can't come to us, we'll come to you! Our Catering Menus are priced per person and include all of your Wildfire favorites, from our signature Wildfire Chopped Salad, to an assortment of sandwiches, pastas, steak, seafood and more. We also offer boxed lunch salad and sandwich options for convenience in the office. 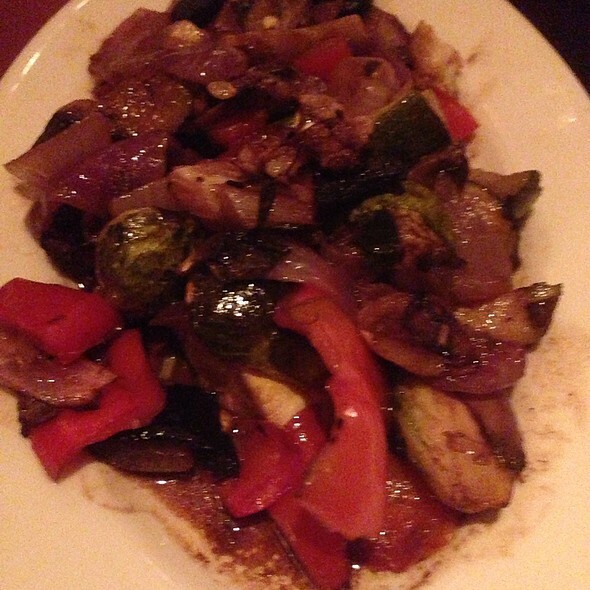 Give us a call and we'd be happy to help plan a great menu for you to enjoy with family, friends or co-workers. Step back in time to when going out for dinner meant something really special. Step into Wildfire, a steak and chophouse with the aura of a 1940's dinner club. From the decor to the jazz music, Wildfire has the style and warmth that makes it perfect for an evening with friends or just the two of you. So order a martini, listen to the music and prepare your appetite for some of the most delicious American cuisine you'll find anywhere. Treat mom to her Wildfire favorites this Mother’s Day! Enjoy classics like our Wildfire Chopped Salad, Macadamia Nut Crusted Halibut, Cedar Planked Salmon, Homemade Key Lime Pie and more. We will be serving our Dinner Menu all day in addition to daily specials. Reservations are recommended. Celebrate Easter At Wildfire! We will be open serving our dinner menu all day, daily specials as well as a delicious Leg of Lamb with a shallot balsamic sauce. Reservations are recommended. Great food and service, complementary birthday dessert was a nice touch. This place is always great on a special occasssion or anytime we want good food and wine. It was a very good experience and the waiter celebrated my birthday with a free cake. Everyone was very nice and welcoming. A great dining experience between the service, meal and atmosphere! Noisy restaurant. When I made my reservation, I asked for a quiet table because we are three older women whose hearing isn't very good. I reiterated this request when I arrived at the restaurant. Instead, we were seated next to a party of 12. We asked to move, but there "wasn't anything else available that is quiet." The manager comped us dessert which was very nice, but it was hard to hear our conversation. We all had the scallops and they were very good. It is fairly expensive. Cornbread is yummy. 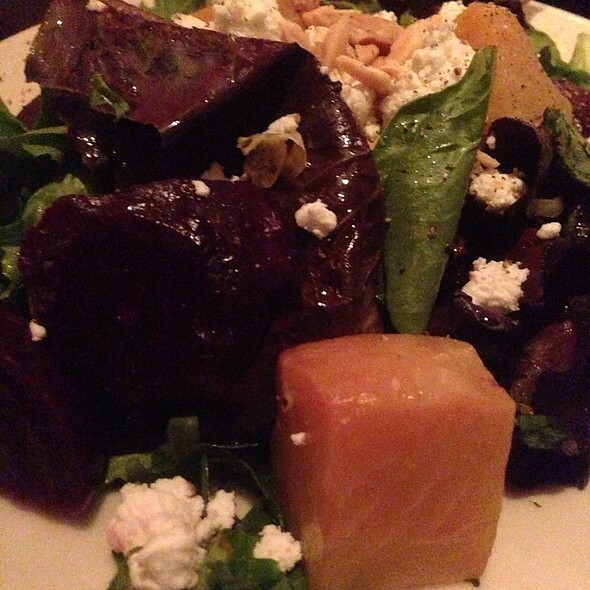 The small Wildfire chopped salad is enough for 2 & delicious! we took our grandson for his 6th Birthday. The childrens menu is very good and the staff brought him his dessert with a candle on it-so nice and special. We were blessed to have Jasmine as our waitress. Such a great experience and customer service experience. The food was wonderful. We were sat immediately; however, waited 15 minutes without being greeted by a waiter. After 20 minutes we left and went to another restaurant in the mall. Very disappointed in the service, or lack thereof. Food and service were outstanding. We visit the area twice per year and always make plans to go to Wildfire. The ambiance was nice, but the young man that took us to our seats never made eye contact or said anything. My steak was very nice, and we had a party of 10 celebrating my father's 75th birthday. Our waiter was nice and polite, but quite slow returning to the table and forgetting to ask for drink orders once he took appetizer orders. All-in-all, the experience was good, but I much prefer Eddie V's and Coastal Flats. We had a great time, the food was amazing and the staff was so friendly and helpful as we celebrated our parent's 55th wedding anniversary. Wonderful experience- as always. I love being able to walk the mall afterward and just relax with hubby. I tried thr price fixe menu and that was well worth it. I had some leftovers for lunch at work that made everyone so jealous and it was just as delicious the 2nd time. Great service and attention to allergies. Our server actually came back out to let us know that something my wife ordered had something she couldn't eat and had a suggestion for a substitute. Wildfire is an excellent venue for business lunches and dinners. Serving staff is there when needed, unobtrusive when not, but always observant, and, always SMILING! I used to be a frequent customer of this particular Wilfire until this last visit. For starters, our waitress seemed to be very, very dull. She displayed an attitude as if she didn’t really want to be there. We waited for over 15 minutes just to get water. Not sure if she was overwhelmed, but this particular wildfire has a history of hit & miss waiters. When we ordered, waiter usually offers toppings for our cuts of meat. This time...nothing. The a $41 porterhouse came out slightly burned and with no flavor. To top it off, the runner spilled hot steak juices on my pants. The manager came, apologized and gave me a shout towelette. He told me he would check back on me and never did. As I was leaving he offered to pay for dry cleaning if necessary. Certainly not what I expected of this type of semi high end restaurant. Time to look for a different place who appreciates loyal customers. Pleasant experience from start to finish. 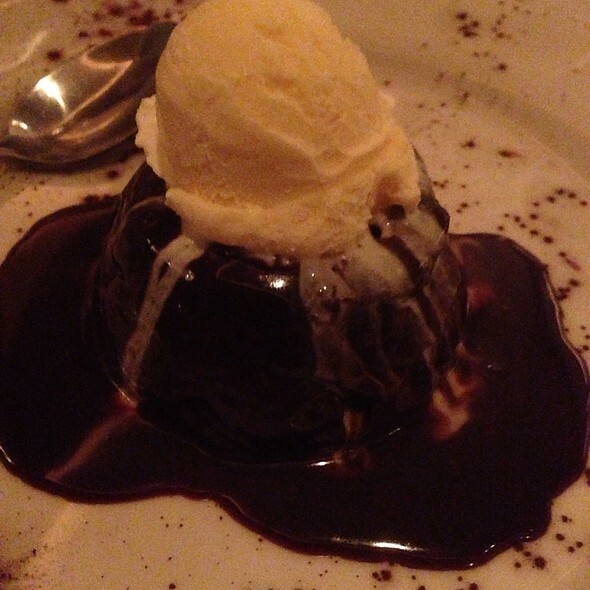 Great meal and excellent dessert. While I've had good meals at Wildfire, yesterday's brunch certainly was NOT one of them. I ordered the Crab and Avocado Toast as my entree. Sadly, when it arrived, it was on what appeared to be store-bought mass produced wheat bread that *might* have been waved over a toaster. The thin coating of mashed avocado was lacking in every way. Even a thin drizzle of EVOO would have been a dramatic improvement. Finally, the lumps of crab meat scattered on top, while numerous, were also clearly at the outside edge of edible. Given that I was with a brunch group of 7, I did not return it to the kitchen, nor did I raise it with the server. That said, I would have thought someone from the restaurant would have enquired when I left the majority of the meal on the plate. 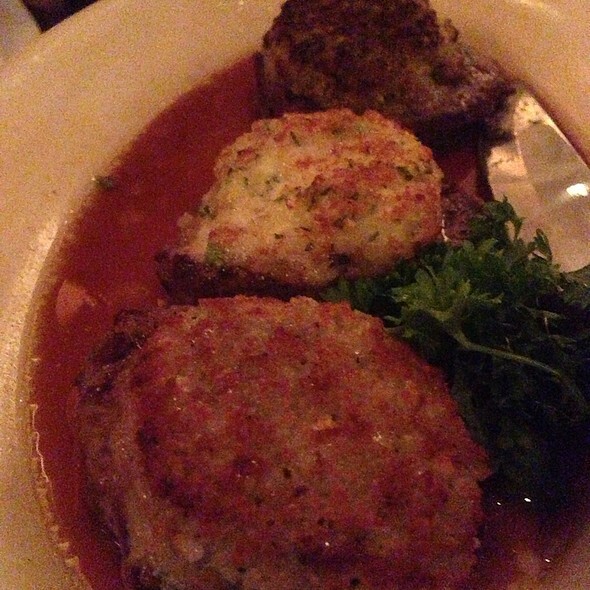 Always some tasty cuts, but the filets and au gratin are where it's at. My only comment is the restaurant had challenges managing the sound system for the room my family was in. The music would get louder even after the staff made multiple attempts to turn it down. We generally love this place. The last couple of months we have been disappointed in the food. Grandson’s 17th birthday. Very nice. 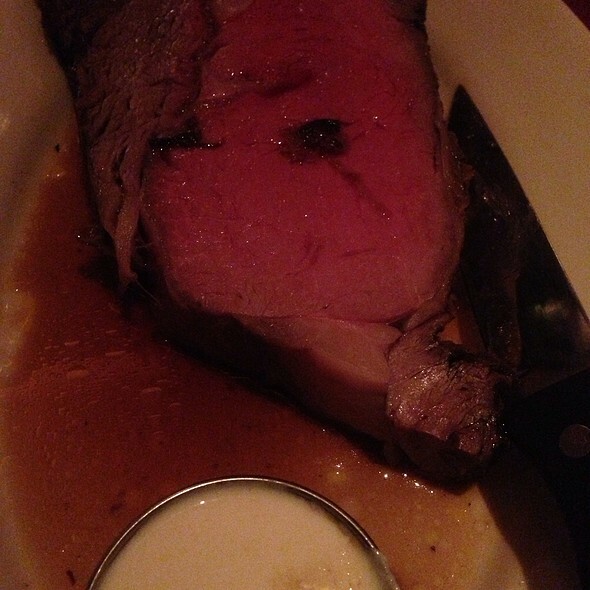 He liked the atmosphere and the prime rib. 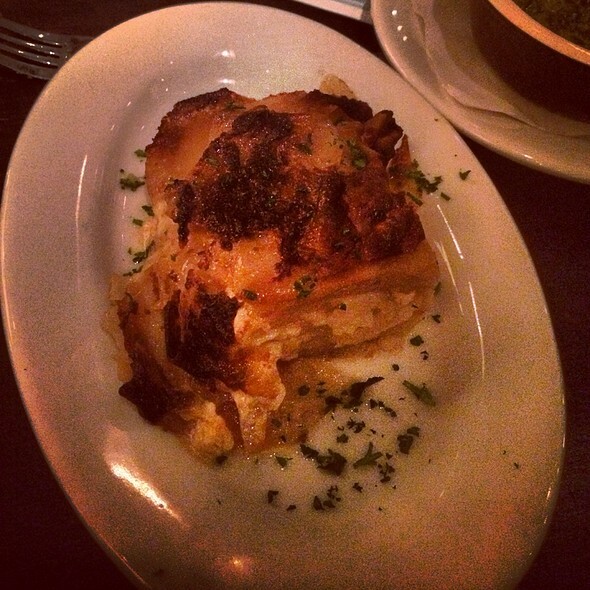 Food was lukewarm, at gratin potatoes like a warm greasy hunk of potatoes and cheese slapped on a plate. Nothing exceptional not impressed. 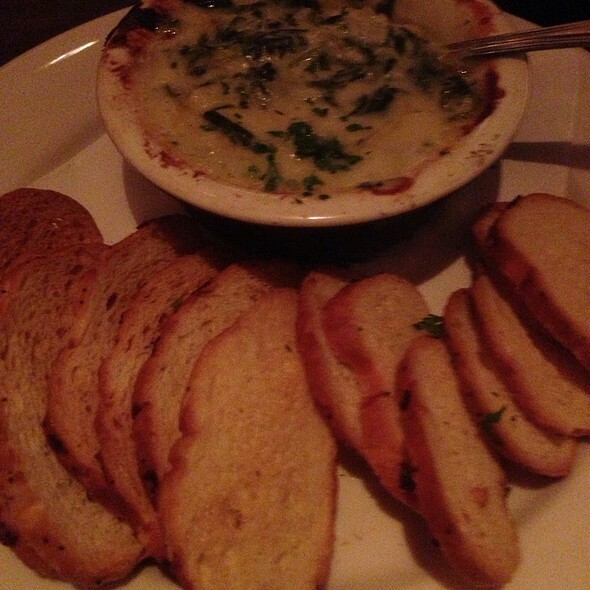 While our last visit to Wildfire was disappointing, we returned, and were very pleased with the food and service. We will definitely return there again, and realize that our one bad experience was out of the ordinary for a very well run restaurant. One of my favorite spots to meet my friends for drinks and brunch. Always have a good meal and time. My daughter and I enjoyed Sunday brunch this past Sunday. I had received several gift certificates from the restaurant when I wrote to them telling them about a sub-par experience a few weeks prior to that. I was very pleasantly surprised when the manager contacted me personally and offered to send a gift certificate. 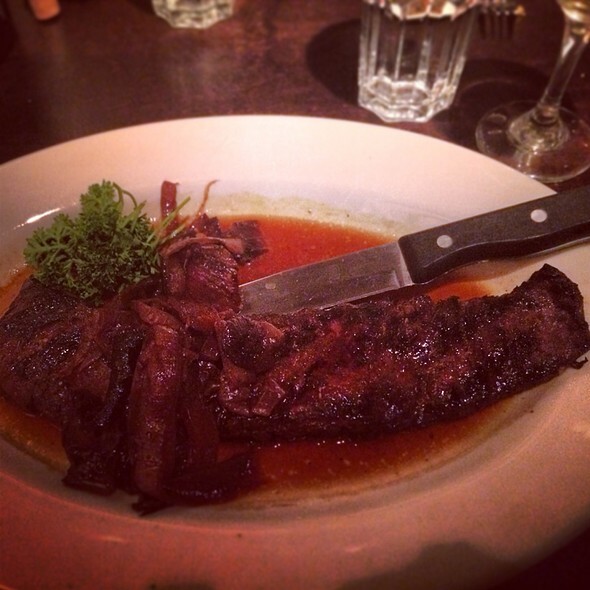 We always enjoy the food and the service is excellent. This past Sunday was no exception. I had the eggs benedict and my daughter had the breakfast burrito - both excellent. Of course, our favorite item on the menu is the cornbread. We had the dessert sampler for finish off the meal and it was just right. I know we'll return. Came here for weekend brunch and it appeared that either the kitchen was understaffed or had more orders than they were able to handle. I ordered their American breakfast platter and while everything tasted great, the server forgot to make sure that the bacon was cooked well done and the waiter took them back to get them well done. Some of the breakfast potatoes fell into the fruit preserves container, which I thought was a bit tacky. Otherwise, the food tasted excellent. We went to Wildfire to watch games in the bar area and have dinner. We were told there were no available tables in the bar area so we sat in a cozy “sidecar” booth which ended up being fine. There was a mix up in the kitchen with our dinners so the manager comped them which was awesome! We both had burgers, I had a turkey burger and my husband had bison, both of us had creamed spinach, dinner was yummy. We will definitely add Wildfire to our list of great local places to eat. Wildfire is one of my favorite restaurants! The food and service are always great! Our hostess/waiter Sue was AMAZING!!! The Drinks were AWESOME and actually slightly better than the food. 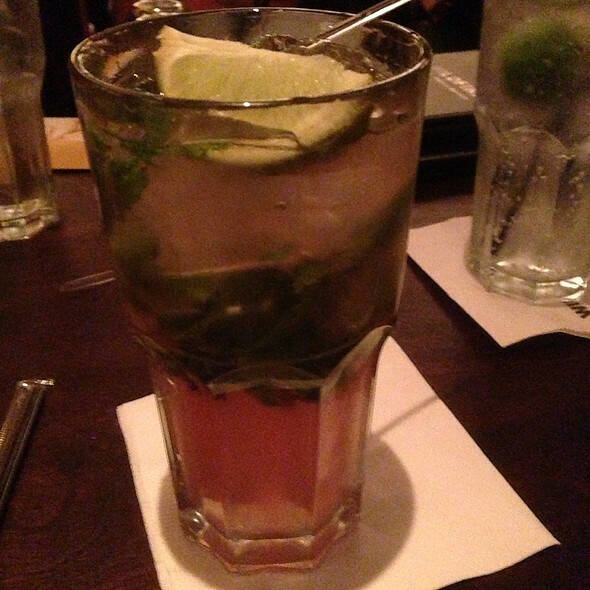 Then again I was nursing a cold, so that could have affected my tastebuds, but the DRINKS were AMAZING!!! We had a wonderful dinner celebration. Everyone enjoyed their meal from hot cornbread to the yummy desserts! Kailee was a wonderful waitress. We frequent this restaurant for the most tender steaks and their salad! Our entire dining experience was superb.